Govt. reduce blindness by changing definition from 1.20 crore to 80 lakh. India has changed its old definition of blindness to bring it in line with the WHO criteria. According to the new definition, a person who is unable to count fingers from a distance of three metres would be considered “blind” as against the earlier stipulation of six metres, which was adopted in 1976. This step would drastically reduce blind population from 1.20 crore to 80 lakh. The Union Health Ministry in this regard has issued the notification. Why India changed its blindness definition? 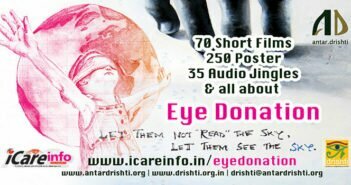 “Because of the earlier definition, we were projecting a higher figure of blind people from India at any international forum, presenting ourselves in poor light. 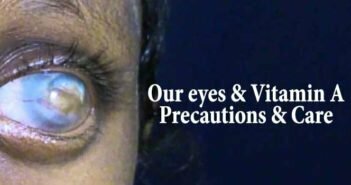 “Also, the data that we generated under the programme could not be compared with the global estimates as other countries were following the WHO definition,” said Dr Promila Gupta, Deputy Director General of National Programme for Control of Blindness (NPCB). “It would have been extremely difficult to achieve the WHO goal using the earlier NPCB definition since we had been addressing an extra 4 million (40 lakh) individuals blind due to refractive errors. Whereas, by adopting the blindness criteria of WHO, India now can achieve the goal,” said Professor Praveen Vashist, in-charge Community Ophthalmology at Dr R P Centre for Ophthalmic Sciences, AIIMS.